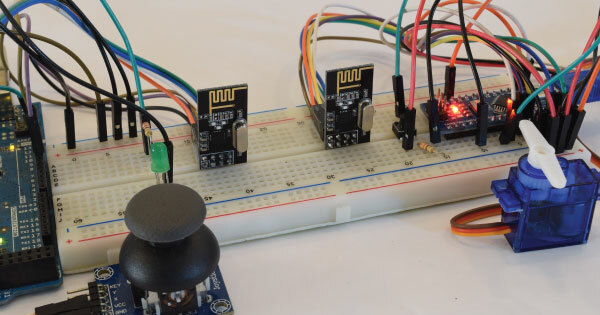 In this Arduino tutorial we will learn how to make a wireless communication between two Arduino boards using the NRF24L01 transceiver module. You can watch the following video or read the written tutorial below. For explaining the wireless communication we will make two examples, the first one will be sending a simple “Hello World” message from one Arduino to another, and in the second example we will have a bi-directional communication between the Arduino boards, where using the Joystick at the first Arduino we will control the servo motor at the second Arduino, and vice versa, using the push button at the second Arduino we will control the LED at the first Arduino. 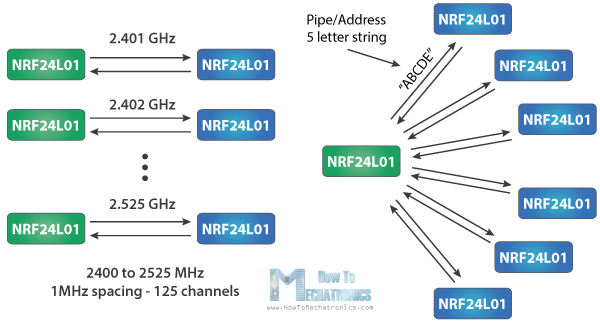 Let’s take a closer look at the NRF24L01 transceiver module. It uses the 2.4 GHz band and it can operate with baud rates from 250 kbps up to 2 Mbps. If used in open space and with lower baud rate its range can reach up to 100 meters. The module can use 125 different channels which gives a possibility to have a network of 125 independently working modems in one place. Each channel can have up to 6 addresses, or each unit can communicate with up to 6 other units at the same time. The power consumption of this module is just around 12mA during transmission, which is even lower than a single LED. The operating voltage of the module is from 1.9 to 3.6V, but the good thing is that the other pins tolerate 5V logic, so we can easily connect it to an Arduino without using any logic level converters. Three of these pins are for the SPI communication and they need to be connected to the SPI pins of the Arduino, but note that each Arduino board have different SPI pins. 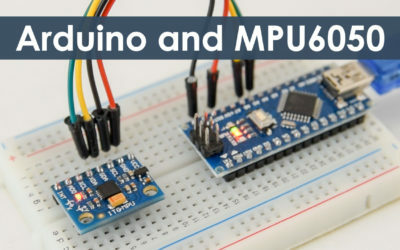 The pins CSN and CE can be connected to any digital pin of the Arduino board and they are used for setting the module in standby or active mode, as well as for switching between transmit or command mode. The last pin is an interrupt pin which doesn’t have to be used. So once we connect the NRF24L01 modules to the Arduino boards we are ready to make the codes for both the transmitter and the receiver. First we need to download and install the RF24 library which makes the programming less difficult. Here are the two codes for the wireless communication and below is the description of them. We can change the value of this address to any 5 letter string and this enables to choose to which receiver we will talk, so in our case we will have the same address at both the receiver and the transmitter. In the setup section we need to initialize the radio object and using the radio.openWritingPipe() function we set the address of the receiver to which we will send data, the 5 letter string we previously set. In the loop section, at the transmitter, we create an array of characters to which we assign the message “Hello World”. Using the radio.write() function we will send that message to the receiver. The first argument here is the variable that we want to be sent. By using the “&” before the variable name we actually set an indicating of the variable that stores the data that we want to be sent and using the second argument we set the number of bytes that we want to take from that variable. In this case the sizeof() function gets all bytes of the strings “text”. At the end of the program we will add 1 second delay. On the other side, at the receiver, in the loop section using the radio.available() function we check whether there is data to be received. If that’s true, first we create an array of 32 elements, called “text”, in which we will save the incoming data. Using the radion.read() function we read and store the data into the “text” variable. At the end we just print text on the serial monitor. So once we upload both programs, we can run the serial monitor at the receiver and we will notice the message “Hello World” gets printed each second. Here are the two codes and below is the description of them. What’s different here from the previous example is that we need to create two pipes or addresses for the bi-directional communication. 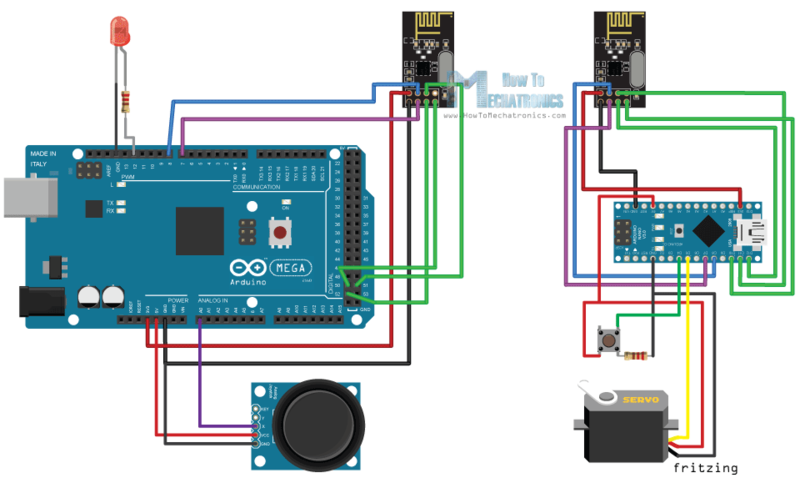 In the setup section we need to define both pipes, and note that the writing address at the first Arduino needs to be the reading address at the second Arduino, and vice versa, the reading address at the first Arduino needs to be the writing address at the second Arduino. In the loop section using the radio.stopListening() function we set the first Arduino as transmitter, read and map the value of Joystick from 0 to 180, and using the radio.write() function send the data to the receiver. On the other side, using the radio.startListening() function we set the second Arduino as receiver and we check whether there is available data. While there is data available we will read it, save it to the “angleV” variable and then use that value to rotate the servo motor. Next, at the transmitter, we set the first Arduino as receiver and with an empty “while” loop we wait for the second Arduino the send data, and that’s the data for the state of the push button whether is pressed or not. 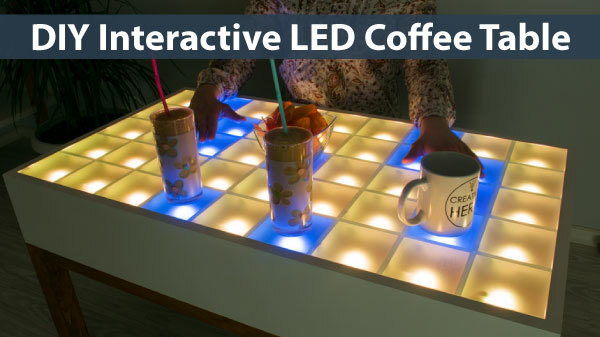 If the button is pressed the LED will light up. So these process constantly repeats and both Arduino boards are constantly sending and receiving data. That’s all, I hope you enjoyed this Arduino project and learned something new. Feel free to ask any question in the comments section below. 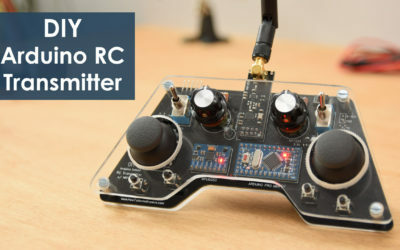 Also you can check out my DIY Arduino RC Transmitter which is based on the NRF24L01 module. Thank you for sharing this very useful tutorial. 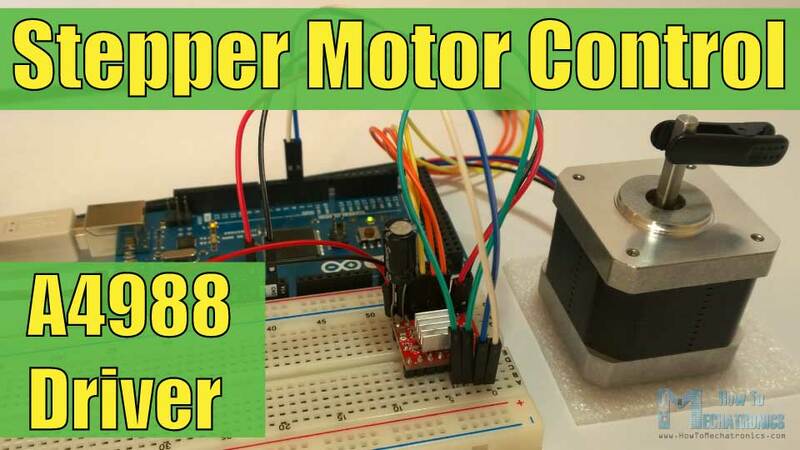 Can you help me with the code to control More than one servo (I need to control 6 servo) using 6 potentiometer in one direction? Well this shouldn’t be a problem, you just have to send those potentiometer values to the other Arduino and apply them to the servo motors. The same method would be used. if you use a uno R3 board on the transmitter and receiver, what pins are you using for your push button and joystick, LED, and servo. have to set it up to understand how it works. The important thing is that you need to use the SPI pins of the Arduino board for the NRF24L01 module, or that’s the pins 13-SCKI, 12-MISO and 11-MOSI. For anything else, you can use any pin. Hi,how can send data for specific pipe and get answer from it. Master have one address and if send data all slave get,s it? I wont have one master that get data from 2 slave. Hi, do you know any possible reason why my serial output is “yyyyyy yyyyyy yyyyy”??? Might be your serial monitor baud rate, check whether it matches with the baud rate set in the program. Can I extend the range to 200 meters by using a repeater. Master to repeater (slave/master) to other slaves and back? Hello, is your circuit diagram is wrong? The SCK of nrf2401 is not going to Pin 13 of arduino nano. 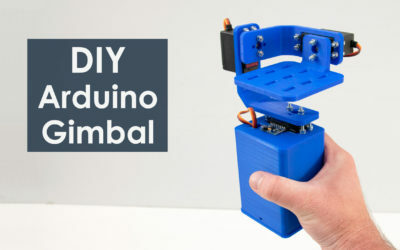 I have already implemented this project using two Arduino NANOs. Initially it was not working but after several hours of inspections I got a very important notice and would like to share it with all your follower. To get 2 NANOs wireless connected and communicating then auxiliary SPI pins must be used instead of D11, D12, and D13. I finally got them working like dream. Thank you very much for sharing your lovely project. Cheers! Hi , It is a good one . Can we use arduino nano , UNO. 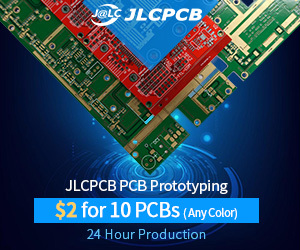 Thanks, you can use any Arduino. if uno is used for transmitter, what are the replacement pins for 50,51,52 of the Mega? 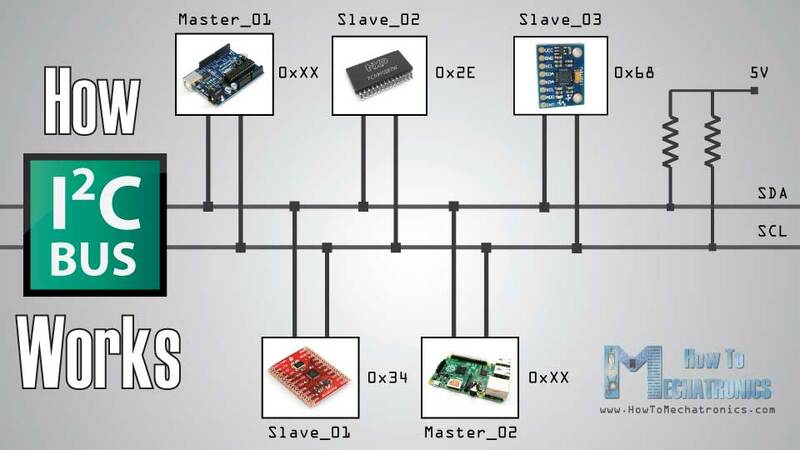 Arduino Uno SPI pins: 10 (SS), 11 (MOSI), 12 (MISO), 13 (SCK). Your tutorials are just wonderful. I very much like the way you present them. Very clear and very helpful. Keep up, man!! Hi. Wonderfull explanation. Q? Will system stand duplex if continuously move the joystick? In this case the program will be inside the while() function all time. Thanks. It depends on the situation but it could work. You can notice in the introduction that I’m able to light up the LED while moving the joystick. The problem might be the power. Try to use more stable external power. 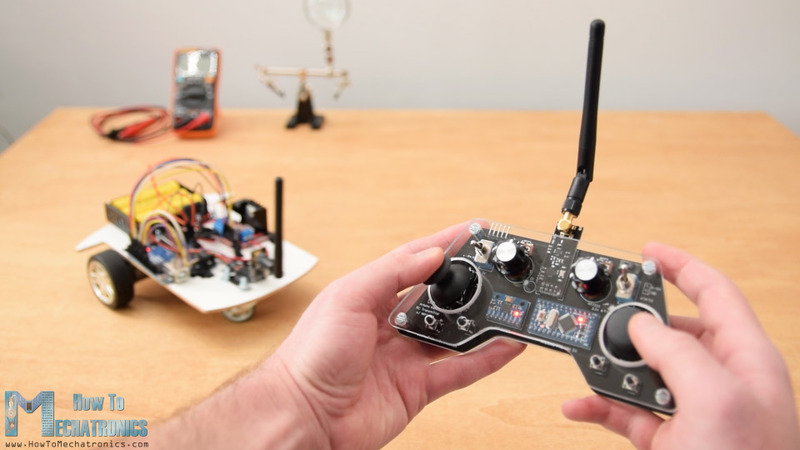 These wireless module can be power hungry when transmitting data, so you might be losing the connection. Also try yo use decoupling capacitors. first, I want to congratulate dejan ’cause his tutos are wonderfull like sbdy say it before me! in second, I’d the same problem of function-malfunction after two or three times using the joystick and it seems it was due cause using a non genuine uno. What resistor are you using in the second example though? Thanks. The two resistors used in the second example are 220 Ohms. I was able to make this project work. However, I am faced with an issue. Whenever I move the two Arduino boards (each with the NRF24L01 module attached in them), the signal gets lost. It was as if the modules can only work less than one meter in range? Unless I have missed something from the tutorial. Try to use decoupling capacitors or use an external power supply. 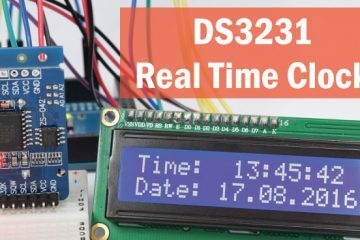 Do you have any ideas on how to establish a connection and receive data with a laptop computer rather than a second arduino? You can use a Bluetooth Module for that purpose. 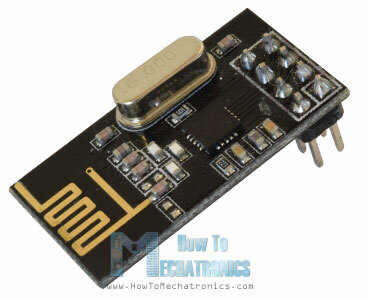 I already have a tutorial how to do it using a Bluetooth module. 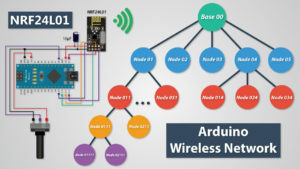 I read ” Arduino Wireless Communication – NRF24L01 Tutorial “. it is very useful for beginners. Thanks lot. My problem is, how can I find ” nRF24L01.h” file ? The link is included in this article already. 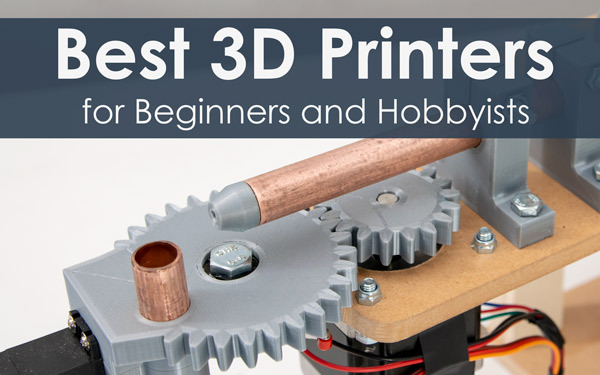 You can find it right under the “Arduino Codes” section. hello! great video! thank you for uploding, I have a problem my module doesnt recieve any data(I’m using arduino nano as tranciever and uno as reciever).I checked the wiring many times i tried it 100 ways to get it work but i haven’t succeeded yet. 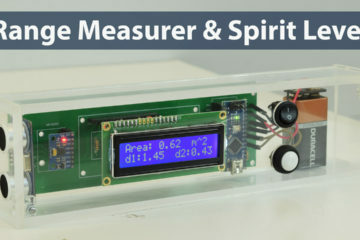 Is there any oportunity with this library to check if the arduino can communicate with rf24 ? I searched in the RF24.h and i found a bool ChipIsConnected() but it doesnt return anything. 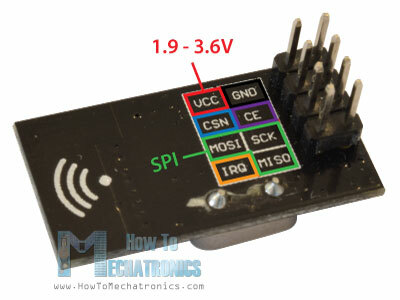 Try using a capacitor across the 3.3V and GND pins. The code library and the code I used for in this project are working 100%. I am facing the same problem, have you reached any progress? I have tried to use 10 micro Farad capacitor, but nothing changed. I still receive nothing. could be the distance between the two modules…it is almost 10 cm max, because of the (PA _MIN).. try to bring them near to each others, or replace the _MIN with _LOW. if you have a capacitor connected, just remove the line in both sketches. The problem might be in the power. 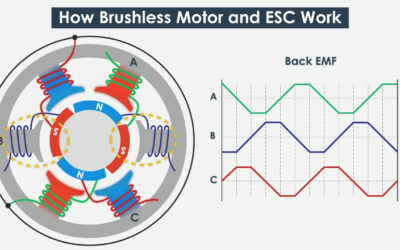 Try to use a capacitor to stabilize the power supply or try use an external power supply. Your example is really helpful but I am communicate both the nrf24L01 using getting started example but I am receiving garbage value instead of hello world. What can I Do? Make sure they work at the same baud rate and your Serial monitor is set to the same baud rate. Hi, great tutorial, thank you! Is it possible to transmit from another source instead, say my own sensor with a 2.4GHz antenna, transmitting an analogue frequency. Then just use one Arduino and one nrf24I01 to receive and configure the data? Or will this module only communicate with another nrf24I01? No, they can only communicate to each other. Thanks for such a great tutorial, I used the long range version of these to get about 400m using external PSU to create a long range door bell with reply function. Many thanks for your great efforts, can i ask you how to do it if im using the HC 05 or HC 06 bluetooth moudles? 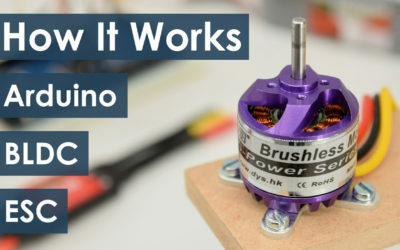 im making an rc car and figured out how to drive the motors but i have one sevo on front intended for steering how can i code it? Check my detailed Arduino Bluetooth Tutorial for the HC-05 Bluetooth module, you might find some useful information. Can we do the “Hello World” communication between two arduino in only one PC? means it’s only has one IDE. can we? Yes you can do that. 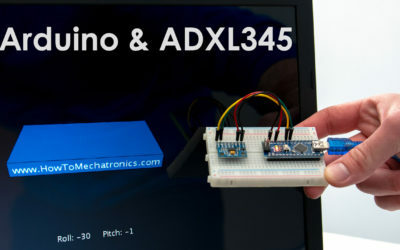 You just need to start the IDE two times, so you will have two different IDE on which you can select the different ports to which your Arduino are connected. I tried to make the nRF24l01 work, but the receiver code is just showing some random symbols even if the serial monitor baud rate is same as the code. Can you please tell me what might be the problem. Try to use decoupling capacitors and try to place the transmitter and the receiver at some distance, at least 1m. 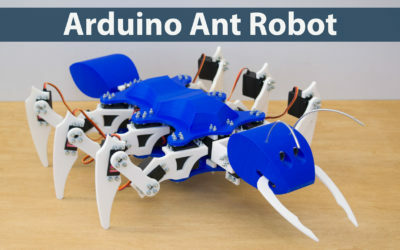 How can i communicate more then two Arduinos using NRf24L01. I am working on a project where i have LCD with each arduinos and there is no concept of master-slave in it. for example. 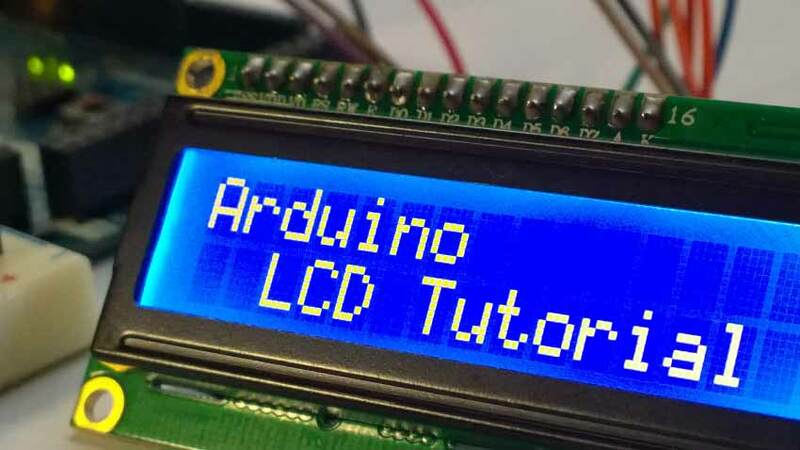 Arduino A send message to arduino B and C and display that message on B and C LCD. and then B or C reply to A And A show the message on LCD. This project is based on consensus control of multi-agent systems where every agent is responsible to control its own resources. Thanks! Check my other tutorial for making a wireless network with RF24Network library. Thank you for your tutorial. It gives me an alternative for wireless communication between devices. May I know how can I increase the distance range, and does the devices need a direct line of sight or is it possible to communicate even there is/are obstruction in between? You can increase the range by using PA LNA SMA Antenna. And of course, the communication is possible even if there are obstacles like walls, but in that way the range will be decreased. Thank you, I have tried wireless connection using RF433MHz module. But when I try to obstruct their line of sight. It can’t receive the signal of the transmitter. I have a follow up question. 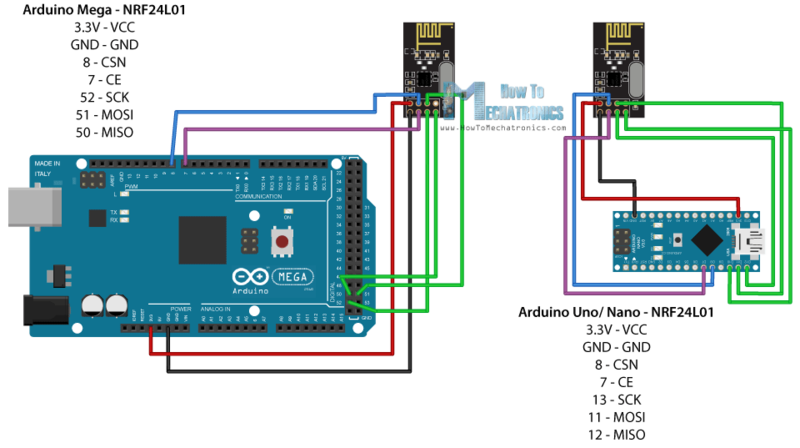 Please do correct me if I’m wrong, I’m using Arduino Pro Mini, the SPI pins will be; MOSI(11), MISO(12), SCK(13). Am I correct? Thanks a lot for your work to stretch out the basic principles in an easy and comprehensive way to everyone. Once again I used one of your great tutorials for the first step to a new topic before diving into depth and realizing my own thoughts and ideas. I really can recommend your publications as a quick introduction to the “howto’s”. Thank you so very much. I’m glad to hear this! Hey, make sure you use a capacitors at the module VCC and GND and make sure you send the same type of data as you are receiving. Also try to distance the two modules at least a meter. The first example, writing “Hello World” works with out problem. But the second example is not working for me. I don’t know the reason. I checked my wiring of the led, servo and joystick but no connection error and tried multiple time. But no receiving and transmitting. My rf module are very close to each other. When I upload the code to UNO and MEGA the servo moves at end of code uploading. But when I pus joystick and button nothing happens. Is there any thing I need to consider? Hey, what about capacitors, try to use capacitors near the modules VCC and GND and distance a bit the two modules. Thanks for your reply. The problem was one of the nrf24l01 module was not working properly (it only receives, doesn’t transmit). It takes me long time to identify the problem. I use another nrf24l01 and it works with out problem. 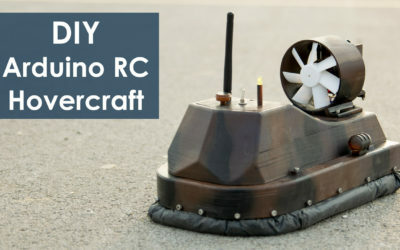 HI, this is exactly what i need for my DIY RC Plane. But I can’t get this to work with 2 arduino unos. Does the board matter, I looked up the corresponding ICSP pins for the Uno boards, I don’t know why it is not working. I would appreciate a helpful response, Thank You. The boards doesn’t matter. Most of the time the problem is the powers supply. Make sure you have good 3.3V power source, maybe even external one, and use bypass capacitor for stabilizing it. Also try to distance a bit the two modules when communicating. Congratulations my friend, your videos and explanations have helped and motivated an immensity of students and professionals, thank you for sharing your knowledge, we thank you from the heart.